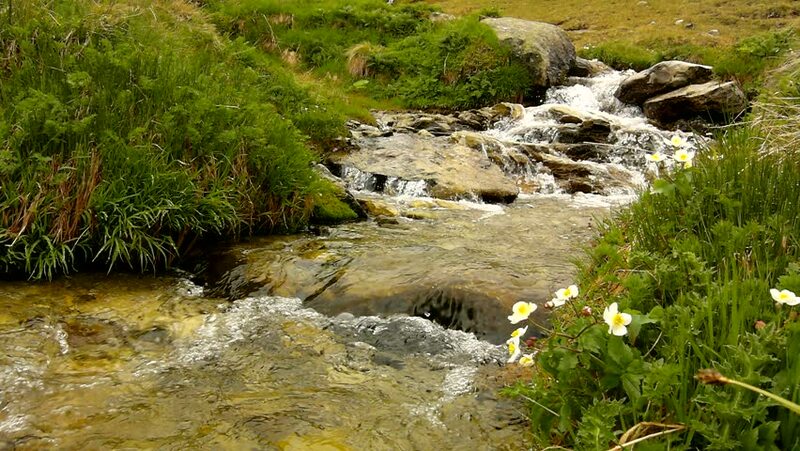 Cascade on small mountain stream in Alps, water is running over stones in green meadow and bubbles create on level milky water. 4k00:10Close up. Pure fresh water waterfall in forest with brown rocks. hd00:10Andean spectacled bear climbing over rocks in a field in Peru.